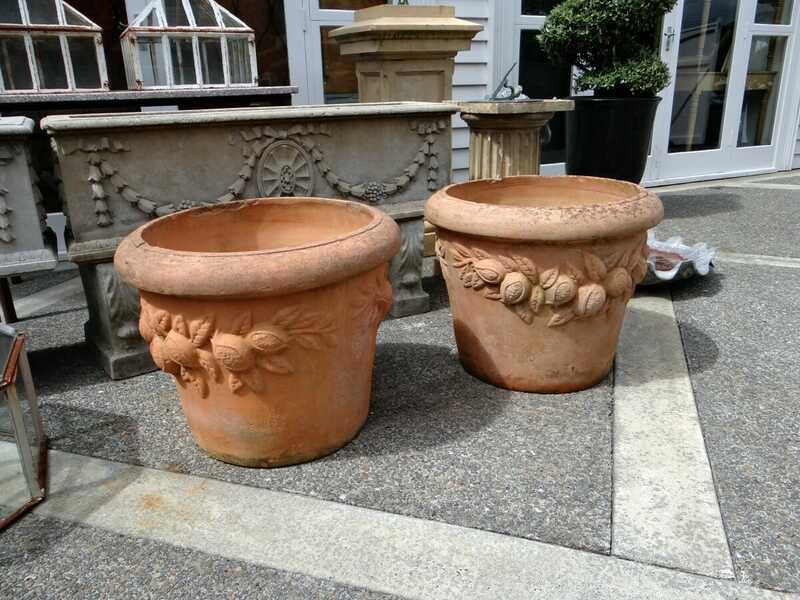 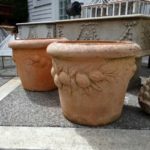 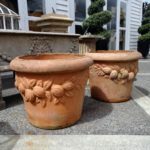 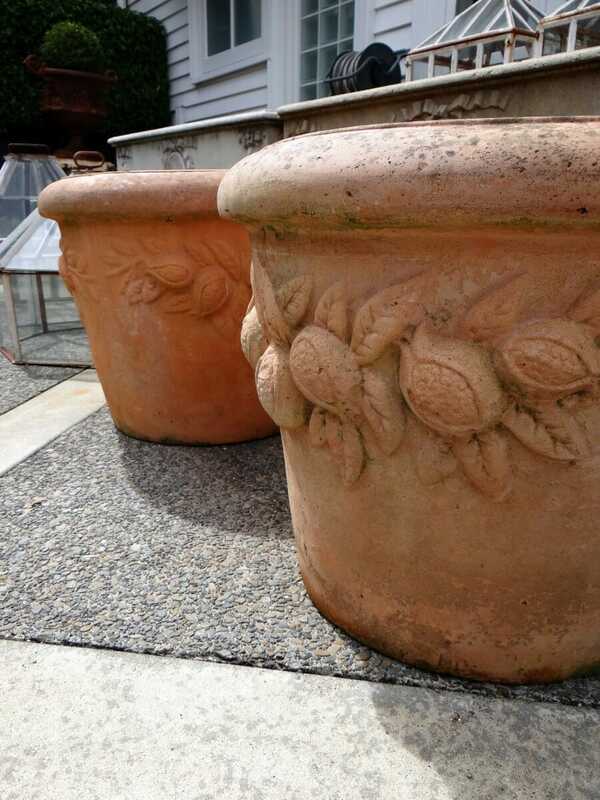 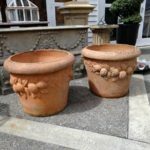 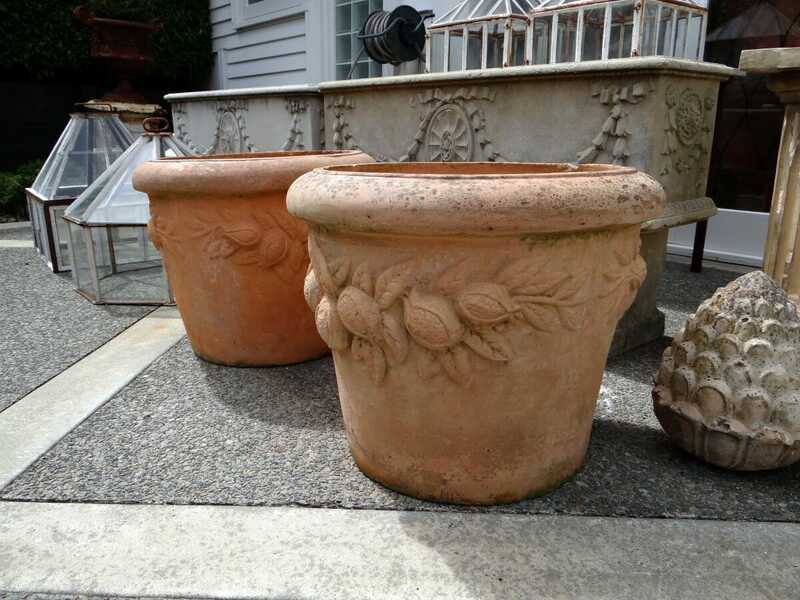 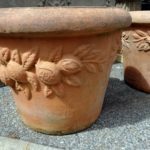 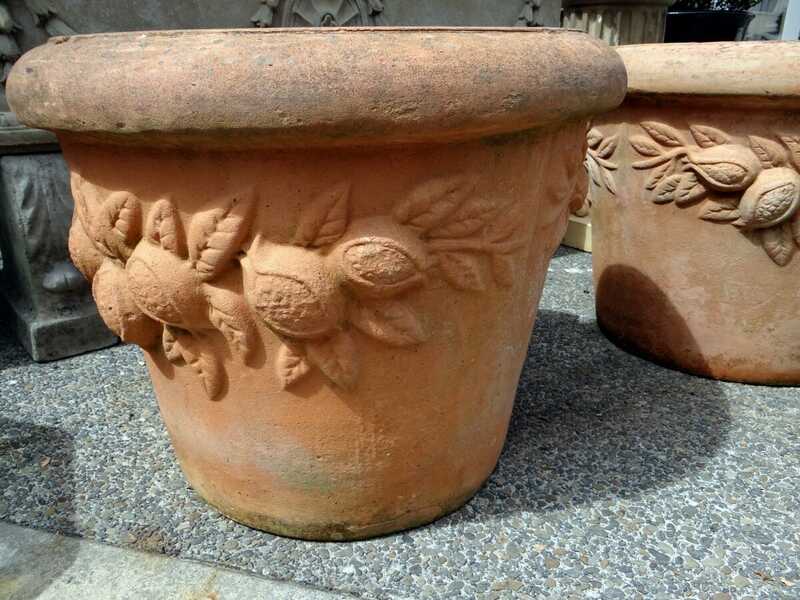 Pair of large terracotta planters c.1950. 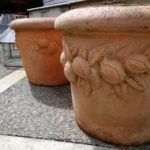 Some chips and wear commensurate with age and outside weathering. 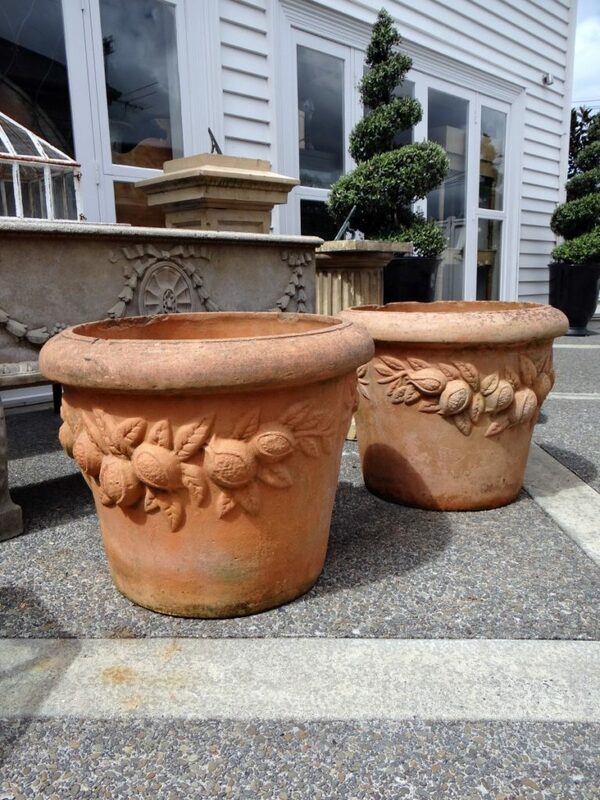 Would look fabulous planted maybe with citrus trees and ivy?